This tutorial aims to show you how use @rimiti/invoice-it (Github, NPM) NodeJS package to easily generate invoice or order PDF files. Invoice-it is production ready since July 1st, 2017. It use PhatomJS (Scriptable Headless Browser) from html-pdf package, which is embedded by invoice-it to convert html templates to PDF. 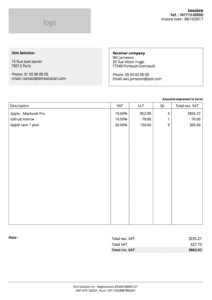 Use your own order and invoice templates. Add / use your own locales file (to override wording). Add order and invoice notes. Customize you company informations (company name, address, phone, website, footer…). Change document identification format (example: IN-1805-00001). To don’t pass every time emitter and logo informations, you can configure it and exporting it. There are two ways for adding articles in a document. It’s time to export our document ? Invoice-it provides several formats to export document. // Export order to HTML file. 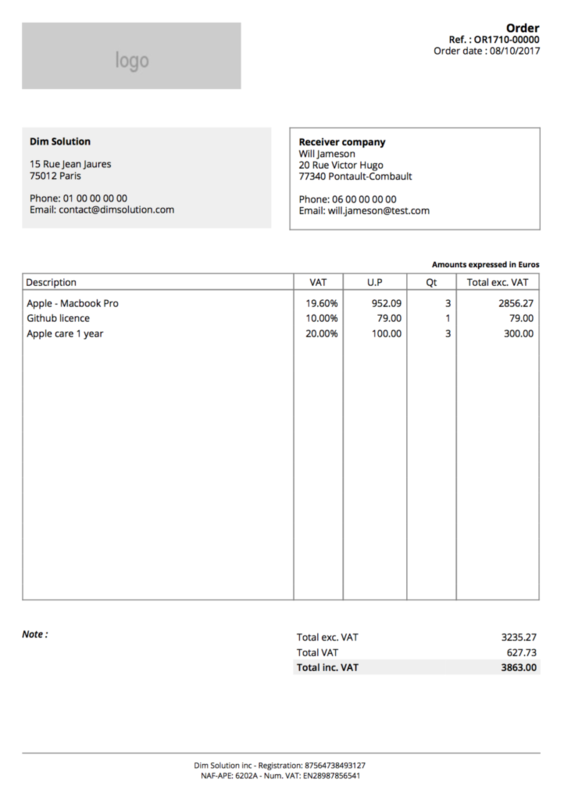 // Export invoice to HTML file. // Export order to PDF file. The code present in this tutorial is accessible into this repository. If you want more examples or snippets, you can check the official repository. I really like this – it’d make an awesome function in the OpenFaaS Function Store. What do you think Dimitri? Hey man! Could you please fix the header and footer so that if the amount of products is too big, next products should go on the second page, but after the header? Thanks for this! You rock! Could you please create an issue on Github with an example of what’s wrong ? Another thing.. I try to use your module with express. I also want to be able to structure the generated HTML files. Unfortunately, .toFile() method does not create a new directory if it doesn’t exists, and that prevent from organizing files. Could you please have a look? Thanks!